62% of healthcare security incidents start with a phishing email, according to the 2018 HIMSS Cybersecurity Survey. Phishing and other cyberattacks can hit anyone. But the stakes are especially high for healthcare firms. Successful attacks can interrupt clinical practices and jeopardize patient safety. 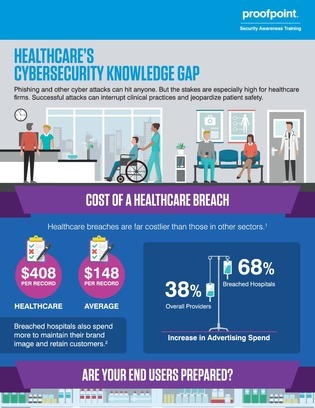 In this infographic, discover key statistics about healthcare’s cybersecurity knowledge gap.